#DJFatSam playing the best in Hip Hop and RNB mixed with Afrobeats and Some Trap Music . And its going to be a night to remember. Definitely cant be missed. Tell a friend to tell a friend. Police were called to break up a huge riot outside Walthamstow Central Tube station tonight, as groups of teenagers wrestled in the street. Photographs shared on social media showed the shocking scenes as officers descended on Hoe Street just after 5pm. About 200 people were reported to have been involved in the mass brawl, but none of them were seriously injured, police said. Gavin Rugg, an IT consultant who witnessed the chaos, said he saw about 15 men fighting in Hoe Street, and several other smaller clashes between groups of teenagers nearby. He told the Standard: “I just came out of Walthamstow Central station and they mentioned there had been a police incident. “There were some guys wearing hoodies who were facing off with police. “It looked like they were arresting someone. 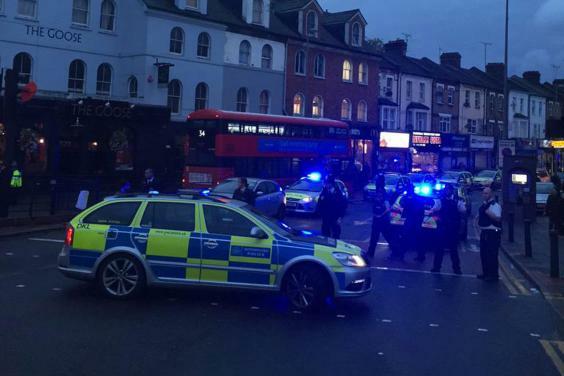 A 23-year-old man, who asked to remain anonymous, told the Standard he saw several small groups of youths, aged between 16 to 20 years old, fighting outside the station. 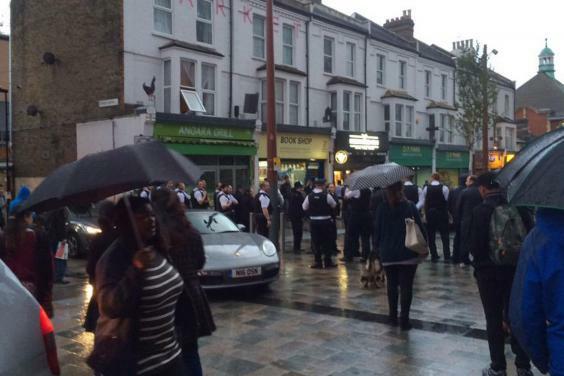 Walthamstow MP Stella Creasy called for people to stay clear of the area. A spokesman for Scotland Yard said three people had been arrested following the brawl. He added officers were still at the scene this evening in order to prevent further violence. In a statement, he said: “Shortly after 5pm, police were called to reports of a large group of youths causing a disturbance in the Hoe Street / Station Approach area of Walthamstow. “The group, approximately 200 aged in their late teens, were dispersed by around 8.45pm. “There are no reports of any persons with injuries at this time. “Officers currently remain in the area to ensure the group remains dispersed. “Three people have been arrested – one for possession of an offensive weapon, two for affray – and taken into custody. The fight follows reports of a brawl at McDonald’s in Hoe Street last night. More than 100 youths were said to have clashed at the fast-food restaurant just after 5pm. Jennifer Simons, a 25-year-old student who witnessed last night’s fight, said: “I was in my boyfriend’s living room and we heard shouting outside so we went to see what was going on, there was a huge crowd of people walking down Chingford Road; they weren’t fighting at that time, just walking, running and shouting. “One of my partner’s flat mates suggested phoning the police but then we saw the blue flashing lights. “Rows of police officers were making their way towards the crowd, and the crowd noticed them and started getting riled up and they grouped up like a mob, the police stopped advancing but then the crowd started fighting amongst themselves so the police went in to break it up. Directed By MONEY MARK For United Millions ENT.